great quality, exactly what I ordered and exact size I ordered. Response from Charles Tyrwhitt: I can only apologise that you have not been happy with the fit and sizing of these shirts. At Charles Tyrwhitt, we do try our very best to make it easy for men to dress well so it is very disappointing to know that the sizing guide has not been helpful. Please do let us know the difficulty you faced with using this so that we can, of course, make further improvements. Until then, you are fully covered by our six-month guarantee so you can return your order to us for free so we can help you find the right size and fit combination. 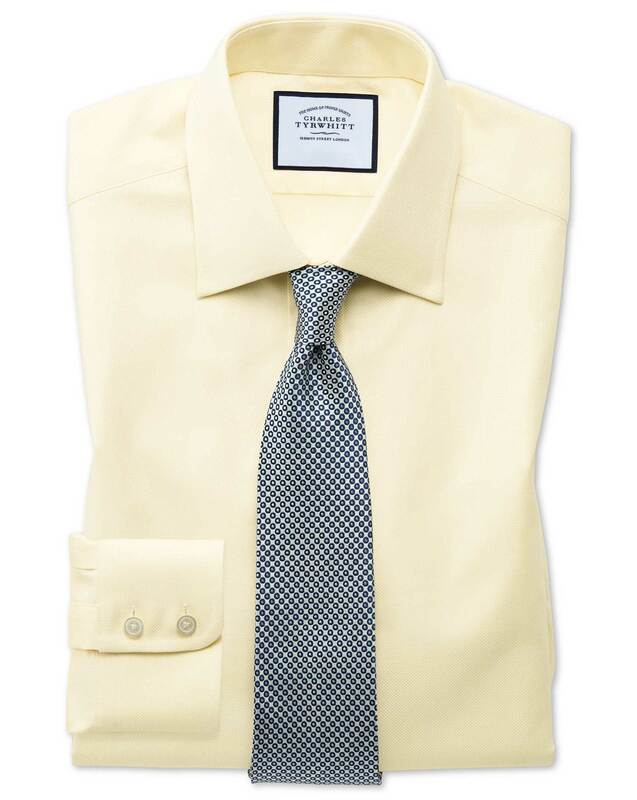 Very nice fabric, a true yellow, and a great fit.